Lumbar cushion, a part of Fellowes I-Spire Series, supports your lower back for enhanced comfort while seated and helps reduce back tension. The adjustable strap with durable plastic buckle holds lumbar cushion in place, while the breathable mesh fabric enhances personal comfort. 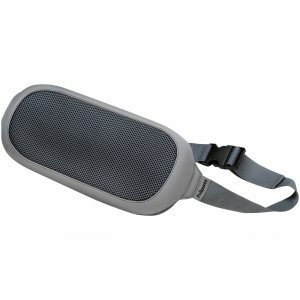 Washable cushion features a rubberized plastic base and polyurethane foam covered in mesh fabric.